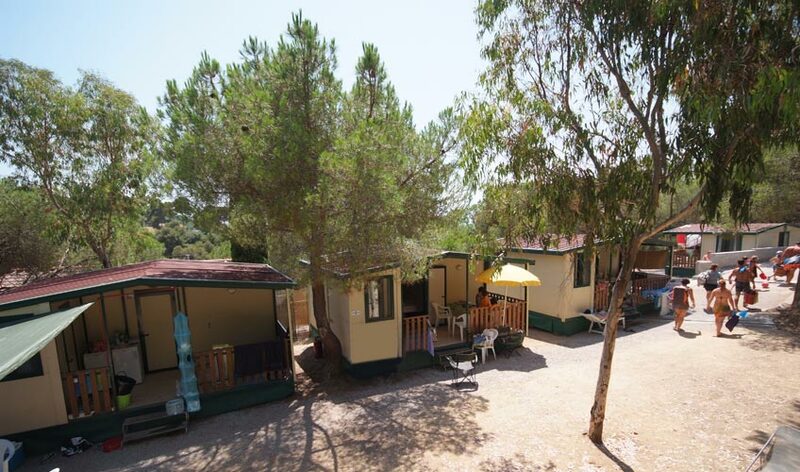 The De Luxe Caravans (for 4 plus 2) are perfect for a relaxing holiday in the Camping Villaggio Europa in the heart of the Mediterranean bush. 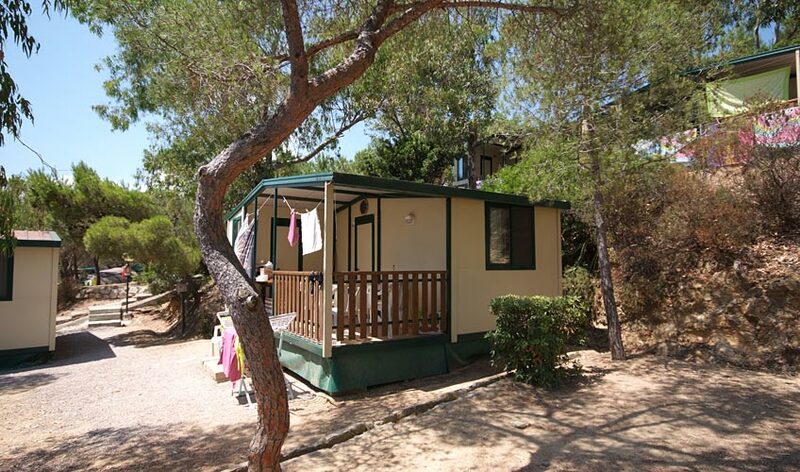 They are perfect for families with small children because they are all from 100 metres to 250 metres from the beach. 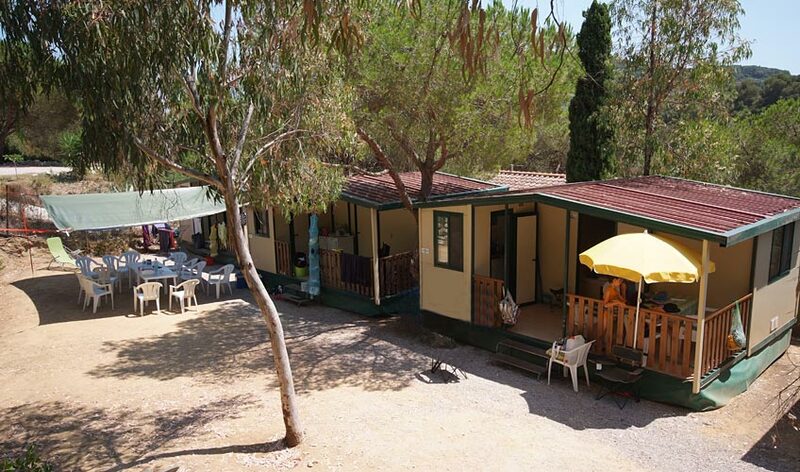 Our campsite has 23 De Luxe caravans, all with a covered balcony equipped with table and chairs. 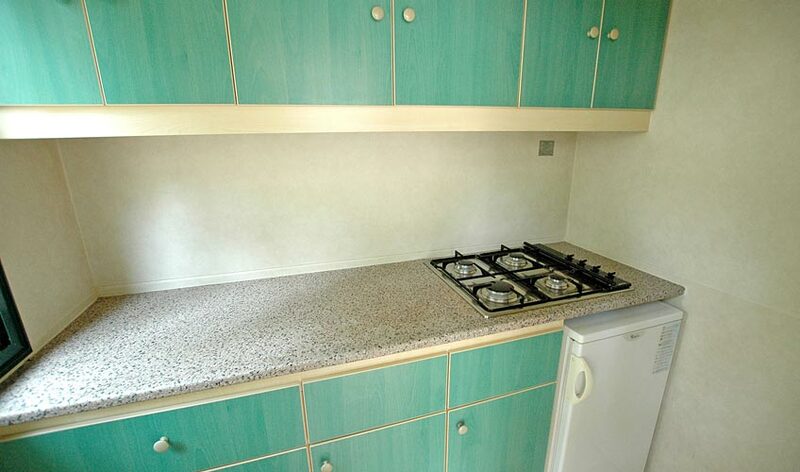 They consist of two bedrooms - one with a double bed, the other with 2 single beds - a wooden veranda with a closed, fully equipped cooking area with fridge. 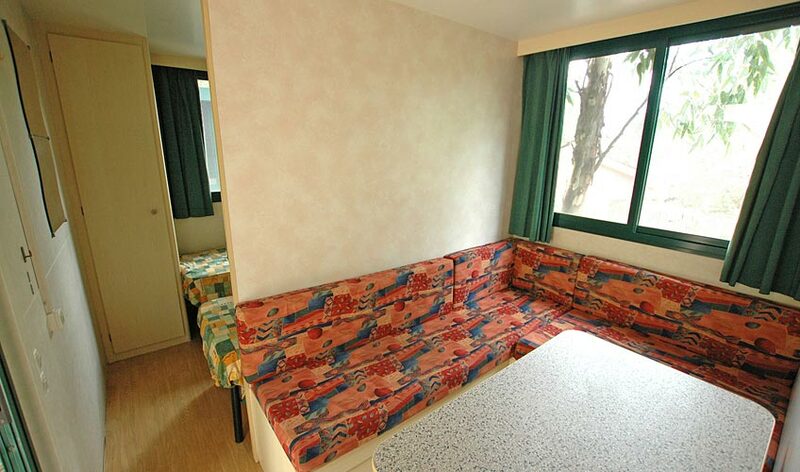 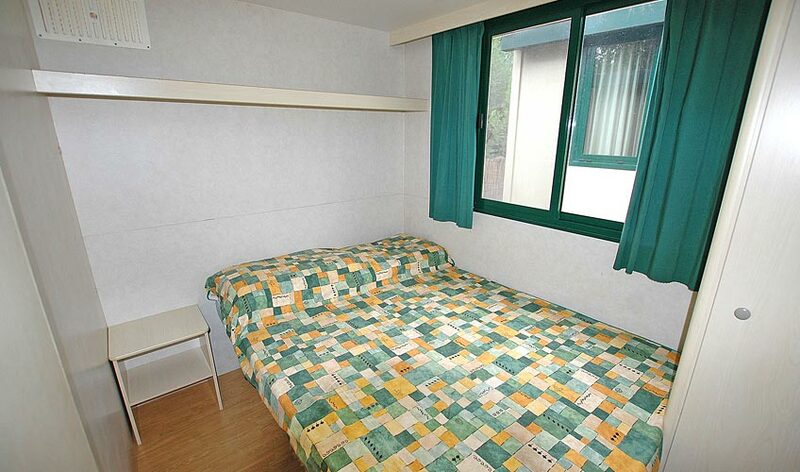 The 4th and 6th extra beds are located in the living area, in the dinette converting into a double bed. 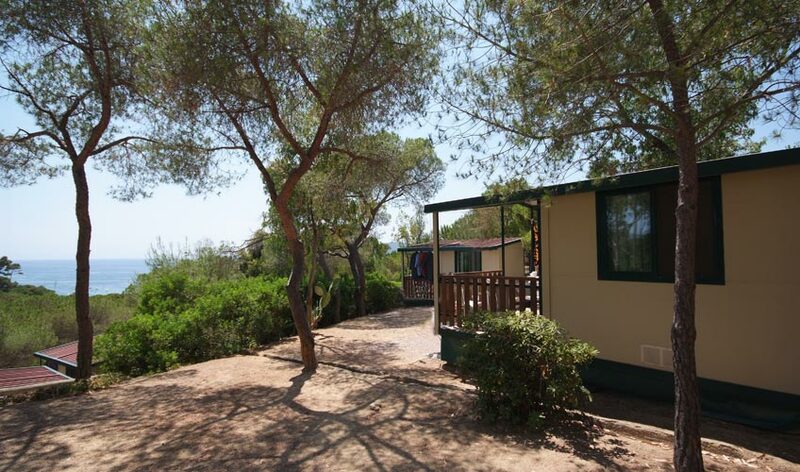 They are very close to the sea (100-200 meters), an ideal location for families. 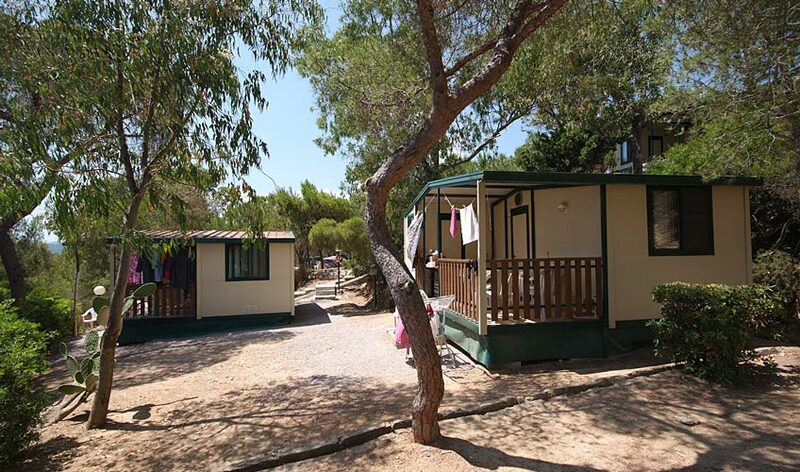 There is neither a bathroom nor running water inside the caravans, so guests have to use the facilities on the campsite (warm water free). 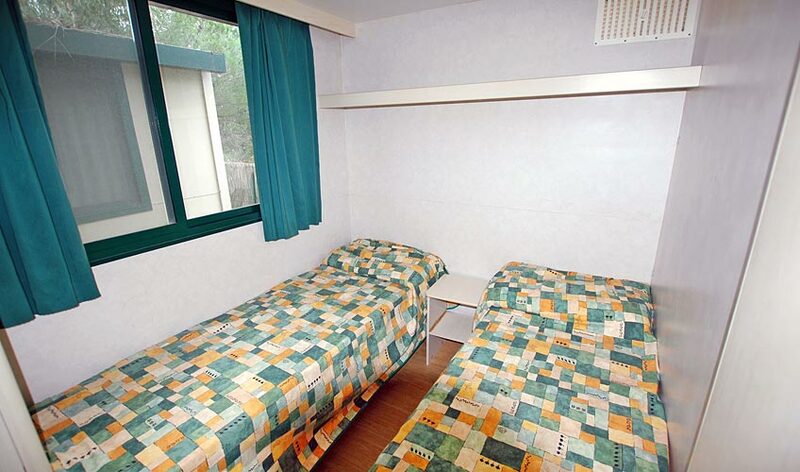 Each caravan sleeps up to six people.